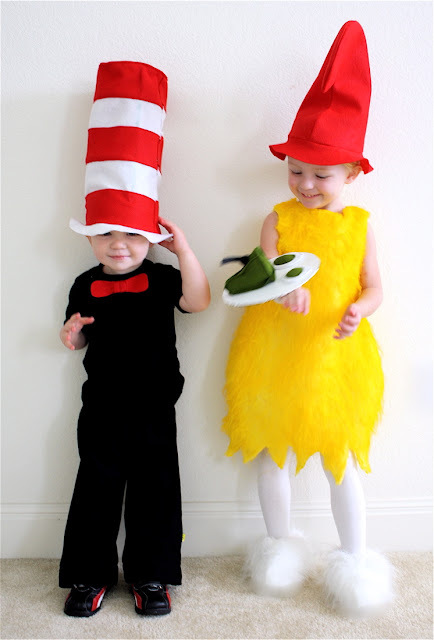 Last Halloween the kids were dressed as Dr. Seuss characters. At the time, Green Eggs and Ham was Lucy's favorite book. So, Sam she was! You can see the entire post about it HERE. Well, we've got other themes in the works this year. So, would anyone like her Sam costume? 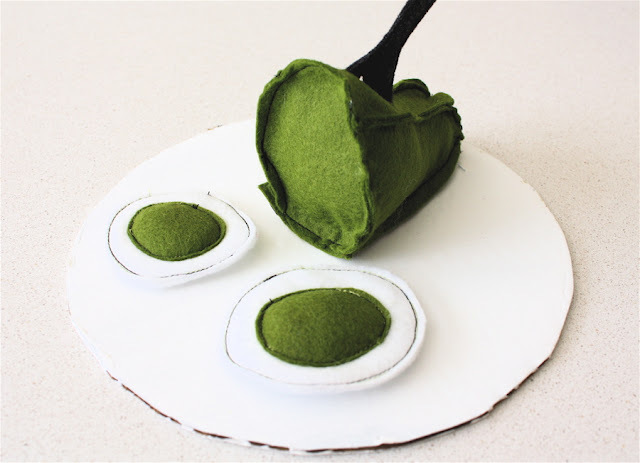 * Green Eggs and Ham platter with wristband attached (sadly, missing the fork but you can make one out of felt and stick it in the ham). It fits anywhere from a 2 to 4 year old and works for a girl or a boy. * Leave a comment, that's it! * Leave your EMAIL ADDRESS in your comment. * Open to anyone in the world with a normal mailing address. * ONE winner will be picked via random.org. * Giveaway ends Sunday 10/3/10 at 10pm (Central Time). I do so like Green Eggs and Ham! Thank you, thank you Sam I Am. I'll take that. It's precious. Thanks! Way cute! Thanks for giving it away! My daughter would love to wear this. Thank you for the opportunity! I would love to dress my little boy in this for Halloween this year! Adorable! If it doesn't fit my 2 year old, I'll put it on my 4 year old! My son would love that costume! Pick Me! this is so cute!! i would love one of my kiddos to wear this! OOOHHH! I would love to win! I have a 2t and a 4t that it would fit! so cute, my anna would love to wear it this year! Oh so cute! My son Owen said "he would wear it in a box, he would wear it with a fox!" Thanks Dana for the chance to win; you are so creative and my little man would look adorable in this! So cute, I would like to enter. Absolutely adorable! My daughter is obsessed with Green Eggs and Ham right now! This would be perfect! Thank you!! How perfect! 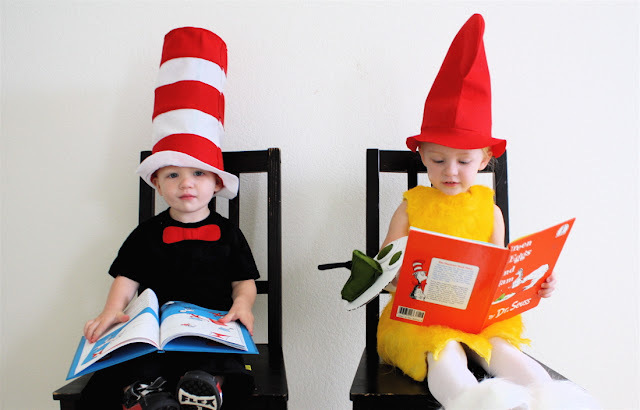 My 3-year-old daughter needs a costume and we all LOVE Dr. Seuss. I hop I win! Ummmmmm.......YES PLEASE! We would LOVE it. Are you sure? REally? If you're sure. Then, yes. We'd like to enter. Little miss 3 year old would look DARLING as Sam. You rule Dana! oh my goodness. My son would love this! We just discovered the book and he quotes along while we read. I was going to try and make this costume for my daughter to wear this year, but if i won it would save time and probably frustration. I hope I win! my son's name is sam - and he loves the cat in the hat! i hadn't even thought of this for halloween, so if i don't win, i'll have to make my own dr. seuss costume for him too! I would LOVE to win!!! This outfit is too cute for words! Yay! My kids would love this costume. Adorable. I have a little 3 yr. old that would love it! Thanks for the chance! oh i was in love with this costume last year when you posted it. i would LOVE to put my little girl in it!! I would just love that costume!! We would LOVE that!!! Our kids are super in to Dr. Seuss. Thanks!!! Love it! I may just use this idea for my 1 yr old and myself this year!! I've been racking my brain for Halloween costumes I could make for my 2 year old. A Dr. Seuss theme is a great idea! I love it! I love it! Sam I am! My daughter would love this!!! Oh yes please! My little man would be the Seussiest! My daughter would absolutely love this! I was in love with this costume when you posted it last year and I just re-read this book a few days ago with my 3 year old. Such a great costume. Great costume! It makes me think of the movie 'Sam I am'. so cute! my preschoolers would love this! thanks for the chance! so cute..would love to see my little girl in it!!! I would eat them with a mouse and I would eat them in a house. . .
That Sam I Am, that Sam I Am. My son would love to wear green eggs and ham! Oh, oh! Just love this Sam I Am costume! We're looking for a Halloween costume for our little guy this year, and Dr. Suess is definitely a favorite. What a cute costume! My son just told me yesterday he wanted to be The Cat in the Hat. His sister could totally be Sam. So cute. This is SO cute!!! We need to dress for preschool as a character from a book. This would work great! How fun! You are so cretive. I was going to have my girls be Thing 1 and Thing 2 next year, but this is such a fun idea in teh same vein! OMG! That is absolutely adorable! I would so put my daughter in this. And, if it didn't fit her, it would so fit my nephew! Love it! Would be perfect for my daughter! I thought this was SOOOO cute! Oh how I would love to win it!! You did such a cute job on it! My three year old would so love this!! Okay, super fun. Thank you! Love that! So much cuter than something purchased at a store and so unique! WOW!!!! How wonderful. My kids would be fighting over who gets to wear it. LOL! We just started reading this to my daughter. She loves Sam I Am! I'd love to win this for my 3-year-old! drooling over here... Yes Mam.. I would love it. Sooooo cute! Thanks for this awesome giveaway!! That'd definatly be a hit in our house! 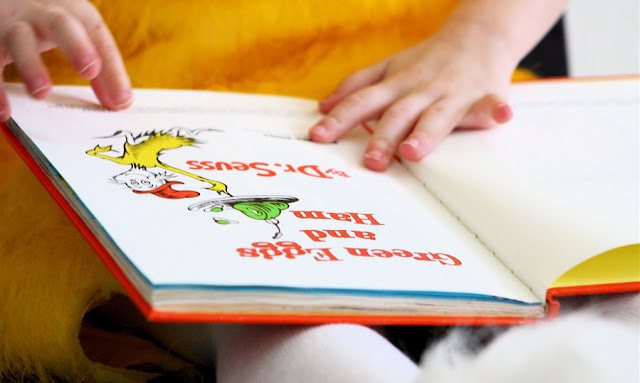 There's nothing more fun than Dr. Seuss stories. oh my goodness, this is just too cute! I would love to have this for mu son (although, I might try to find/make white pants instead of tights!). What an awesome giveaway! Um, yes please! I would totally put my Sam in that for Halloween! My son's name is Sam and he'd look adorable in this costume. I'd love to win! My daughter loves Dr. Seuss- and green eggs and ham!! Oh my gosh, that's SO stinkin' cute! My 2.5 year old has recently discovered Green Eggs and Ham and loooooves it. Thank you for sharing such an awesome costume! Oh awesome! This is a fave in our house as well! It's a VERY cute costume! And so kind of you to pass it along to someone else! I have a 2 and a half year old Green Eggs and Ham Lover over here at my house, he has the book memorized, his little sister now calls it "ham". Oh, we would love that! My kids love Dr. Seuss. Oh LOVE IT! We have been doing the 'what do you wanna be' question for over a week now...and this is the perfect answer!! 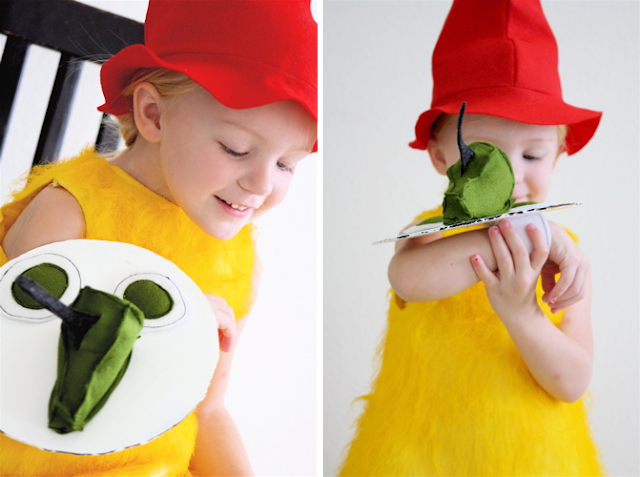 I want this...My little Whirlwind wants this......Green eggs and ham is currently her favourite book, and i always remember your post and Lucy's video from last year when we read it. so adorable!!! my little one loves that book too... we've picked out a halloween costume, but i think she could be easily swayed with this one! So Cute, I would love to dress my little girl in this! Oh I would love to win, this is wonderful! Love it! Would love to win! Oh I have a wee one or two who would love this. SO cute! 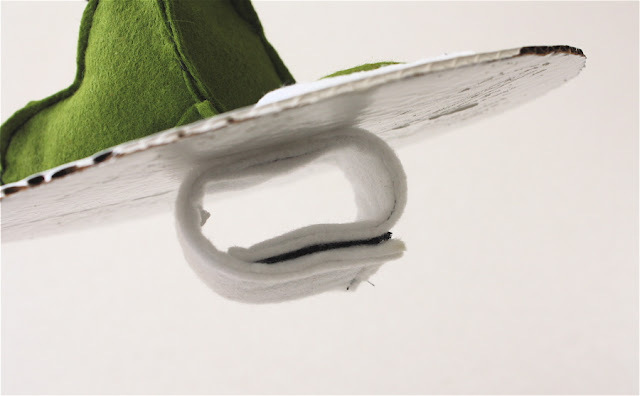 you are a whiz with that sewing machine, ms. dana! my kids would very much love to have this, pick me! Yes please, I do so like it Sam I am. Oh yes please! I love this costume. My kids would have alot of fun w/ this costume :) Thanks! Oh how adorable! Thanks for the opportunity to win this awesome costume! I was definitely impressed with this costume last year. How nice of you to give it away! OH, I would love to have this for my two kids. Here in Germany (we are military), we have slim picking at our exchange. It would be so nice to win this for them! Thanks so much for this great giveaway. That is so generous! I would love to reuse Lucy's costume. stefsummerer (at) gmail (dot) com. I would love this for my boy!! I love that costume.. I saw it last year and I was blown away.., You are so creative.. Love your blog! Holy Awesome Giveaway Batman! I'd love that costume, it's so perfect, and I loved it so much last year too! Thanks so much for the chance to win it, that's seriously cool! OMG, seriously? How precious! Awesome giveaway Dana! How nice of you! We love that book. And I really loved that costume when you originally posted about it. My little people would go crazy! Dana, that's so sweet of you to give away this costume! I'm obsessed with Halloween. This costume is amazing and I've got 3 little girls who could each wear it --- my oldest is 4 and my youngest is 1. Boy, we'd get a lot of use out of it! Great costume. Love it! Thanks for the giveaway! oh, my little guy would love this. This is fantastic! Thanks so much for the opportunity, my littlies would love this! My oh my oh my! I would love to give this a try! My little girl would dazzle. Love this...couldn't let it go without a try! Great work! This would be really fun to win! I would love this for my little girl. Thanks. 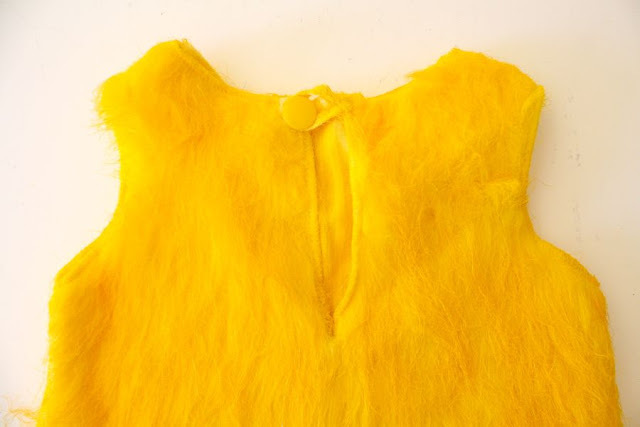 oh my that is amazing and YELLOW! My email is in my profile. my little girl and boy would love to dress up together. This one will get me half way there! OH MY GOODNESS that has to be the cuttest thing I ever seen!!!! My daughter is tooo big, I wish she was little!!! This would be perfect! Would love to win this for DD! Off to make her a circle skirt! I love it and my daughter keeps coming back to the page! I bookmarked this post last year so that I could plan out how I was going to make almost the same thing for this year! This would save me so much work...I love it!! We are huge Seuss fans! This is amazing! I would love it for my three year old daughter! My little guy loves Sam! THis would be perfect! This would really solve all my problems! Pick me! I would LOVE it! Thanks for the giveaway! I loved that costume post last year! So cute! I would be so honored if I won the costume. I can't wait to see this year's costume! I really don't want to make a costume this year. We'd love to win! OMG! You are amazing. I would love to take my 2.5 yr old out for his first Trick or Treat in this costume. Oh wow, I'd love to win it. My daughter would look so cute in it! Thanks for being so generous. We've been stocking up on costumes since being a kitty is more fun then pretending to be a kitty. We would love to add this to the collection! Oh, my little girl LOVES Dr Suess!! And she's 3 too, so I bet this would fit her perfectly. I would love it for her. Ohhhh...I'd love to win this giveaway!!! My daughter loves Dr. Suess AND we're in need of a costume! Oh my gosh. I would love to dress my little girl as this for Halloween and would love the time savings of winning even better! It is so adorable. Thanks! being a teacher, i'd love this costume! SO cute!!! I would love to have it! My 3 year old would love this. 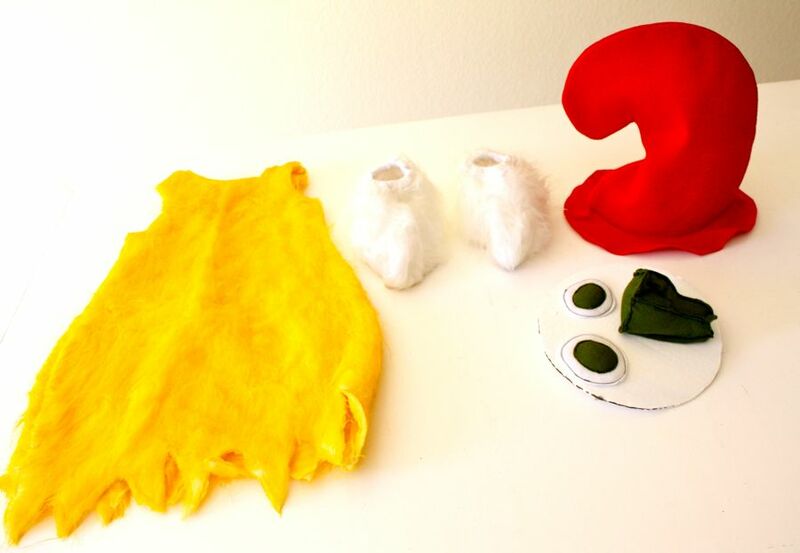 What an adorable costume, and a sweet giveaway! I love it! I have a 2 and 3 yr old. So we'd definately have to come up with another Suess character. We love Dr. Suess. I have a couple Suess nuts that would fit!! So awesome! !